Icebergs, forgotten songs, and lesbian trickery! Go behind the scenes of Dreamboy with Dane & Ellie. Dreamboy is co-created by Dane Terry and Ellie Heyman. For show merch, more information, and full credits, go to dreamboypodcast.com. You can also find us on Twitter (@DreamboyPodcast) and Instagram (dreamboypodcast). Dreamboy is co-created by Dane Terry and Ellie Heyman. Starring Dane Terry, featuring Michael Cavadias, Dito Van Reigersberg, Renata Friedman, Morgan Meadows, Avery Draut, Gianna Masi, Somerset Thompson, Alice Tolan-Mee, and Jake Sellers. For show merch, more information, and full credits, go to dreamboypodcast.com. You can also find us on Twitter (@DreamboyPodcast) and Instagram (dreamboypodcast). Dreamboy is co-created by Dane Terry and Ellie Heyman. Starring Dane Terry, featuring Cecil Baldwin, Avery Draut, Michael St. Peter, Chris Weingarten, and Jake Sellers. For show merch, more information, and full credits, go to dreamboypodcast.com. You can also find us on Twitter (@DreamboyPodcast) and Instagram (dreamboypodcast). We now have a Patreon! To support the show, head over to patreon.com/dreamboy. Dreamboy is co-created by Dane Terry and Ellie Heyman. Starring Dane Terry, featuring Michael Cavadias, M’Balia Singley, Renata Friedman, Gianna Masi, and Cathy Ang. For show merch, more information, and full credits, go to dreamboypodcast.com. You can also find us on Twitter (@DreamboyPodcast) and Instagram (dreamboypodcast). Broadcasting live on 89.7 Classical Cleveland, it's Dan Roddlestein's Holiday Hoopla! Dreamboy is co-created by Dane Terry and Ellie Heyman. Starring Dan Roddlestein, featuring Dito Van Reigersverg, M’Balia Singley, Renata Friedman, Morgan Meadows, Avery Draut, Gianna Masi, and Adam Cecil. For show merch, more information, and full credits, go to dreamboypodcast.com. You can also find us on Twitter (@DreamboyPodcast) and Instagram (dreamboypodcast). I can’t really feel my own body. It’s like I got locked out of it, in a storm. Dreamboy is co-created by Dane Terry and Ellie Heyman. Starring Dane Terry, featuring Michael Cavadias, Renata Friedman, Morgan Meadows, Avery Draut, and Gianna Masi. For show merch, more information, and full credits, go to dreamboypodcast.com. You can also find us on Twitter (@DreamboyPodcast) and Instagram (dreamboypodcast). The nighttime is going to be a different color now. Dreamboy is co-created by Dane Terry and Ellie Heyman. Starring Dane Terry, featuring Dito Van Reigersberg, Michael Cavadias, Max Vernon, Saretta Wesley, Renata Friedman, Morgan Meadows, and Avery Draut. For show merch, more information, and full credits, go to dreamboypodcast.com. You can also find us on Twitter (@DreamboyPodcast) and Instagram (dreamboypodcast). Dreamboy is co-created by Dane Terry and Ellie Heyman. Starring Dane Terry, featuring Michael Cavadias. For show merch, more information, and full credits, go to dreamboypodcast.com. You can also find us on Twitter (@DreamboyPodcast) and Instagram (dreamboypodcast). Dreams fade into night, but rather than die away, why don’t you stay? Co-created by Dane Terry and Ellie Heyman. Starring Dane Terry, featuring Cecil Baldwin, Avery Draut, Gianna Masi and Morgan Meadows. For more information and full credits, go to dreamboypodcast.com. You can also find us on Twitter (@DreamboyPodcast ) and Instagram (dreamboypodcast). Follow us on Twitter (@DreamboyPodcast ) and Instagram (dreamboypodcast), and find show updates on our website (dreamboypodcast.com). 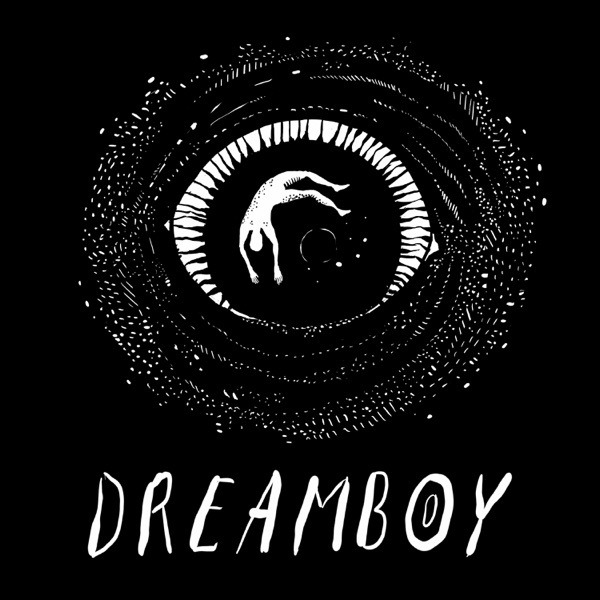 Go behind the scenes with the creators of Dreamboy, a new music fiction podcast.